Product prices and availability are accurate as of 2019-04-19 03:49:12 EDT and are subject to change. Any price and availability information displayed on http://www.amazon.com/ at the time of purchase will apply to the purchase of this product. 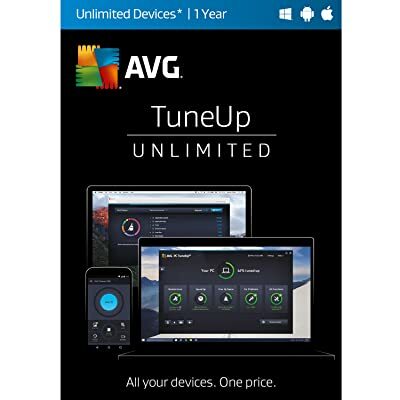 More speed, more disk space, and a longer battery life, are just three of the many benefits AVG TuneUp can bring to to all of your PCs — and your life — right now. With its comprehensive range of over 35 tools, AVG TuneUp provides everything you need to help keep your computer running smoothly, resulting in a faster, more stable PC.